Leaked pictures shows the Blackberry R10, the third member of the new Blackberry devices. 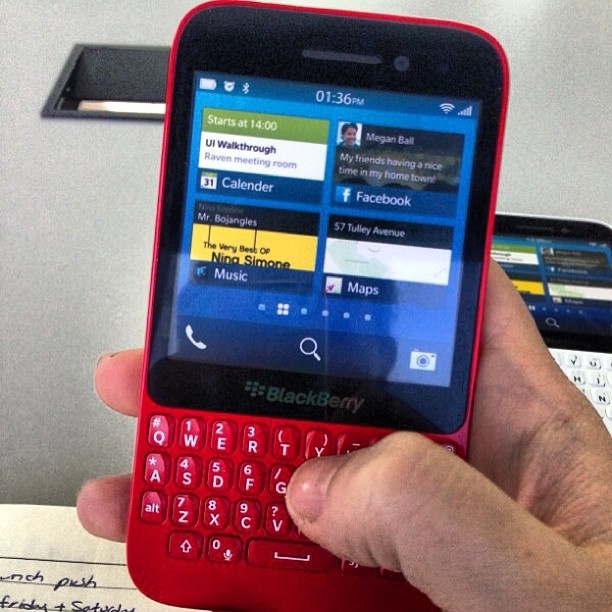 The photo shows off the Blackberry R10 in red which suggests that the device would be aimed at the youth market. The R10 (white) has been seen in photos before now with the Z10 and Q10 before the announcement of the Z10. There is no word on the specs of the R10 but like most midrange devices and would replaced its Curve line, blackberry is sure to skim on some of the device features (not like the Z10 matches it's competitors), maybe use a single core processor, 512MB RAM, 5 MP Camera.